An interesting article by Scientific America, giving us some brief information on how sharks and how our knowledge of sharks has evolved greatly in the past twenty years! Sharks have remained relatively unchanged by evolution for 400 million years, but shark science has evolved significantly in just the past few decades. In 1987 when Discovery Channel's now-famous Shark Week series debuted, researchers had few means of studying the animals beyond underwater cages and crude acoustic tracking devices. Twenty-three years later, marine biologists studying elasmobranch (the subclass of cartilaginous fishes that include sharks, skates and rays) animals employ satellite tracking, genetic analysis and high-definition cameras to broaden their knowledge of shark biology and behavior. This research is revealing, among other things, that even sharks like the great white are intelligent, curious animals with cognitive abilities worth studying. "Many sharks have good learning capacity, which is one way we measure intelligence," says Samuel Gruber, a marine biologist at the University of Miami's Rosenstiel School of Marine and Atmospheric Science (RSMAS), who discovered in 1975 that lemon sharks could learn a classical conditioning task 80 times faster than a cat or rabbit. "I was shocked to find that they could learn so rapidly," he says. Gruber's National Science Foundation–supported Bimini Biological Field Station in the Bahamas, known as Sharklab, is now planning to start a doctoral research program on shark cognition. 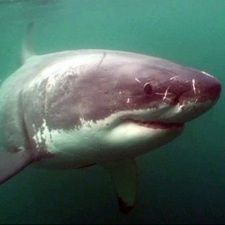 But the biggest shift in shark research has been its provision of data for conservation efforts. The first large-scale study to document shark populations in the Atlantic Ocean revealed in 2003 that both bull and smooth hammerhead sharks have declined up to 99 percent in the past three decades. Whale sharks (the world's largest fish, but harmless to humans), scalloped hammerheads and basking sharks are particularly at risk, with more than 80 other species listed as vulnerable or endangered on the International Union for Conservation of Nature and Natural Resource's Red List of Threatened Species. And great whites may now be rarer than tigers, with fewer than 3,500 left in the wild according to data made public by a Stanford University research team earlier this year. Because many shark species are slow to mature and reproduce, overfishing to supply the thriving Asian market for shark fin soup is the prime threat to shark populations globally. Some shark fin soup consumers assume that finning doesn't hurt the shark, or that fins grow back; neither is true. Standard finning procedure usually involves shearing off all the fins at once (most sharks have eight; the dorsal fin is the most valuable) and pitching the maimed animal overboard to drown or be eaten. “Shark fins can be sold in Asia for up to $1,300 per fin or up to $100 per bowl of shark fin soup," says Elizabeth Griffin, a marine scientist at Oceana, a Washington, D.C.–based ocean advocacy group. Despite the research progress, marine biologists still know much less than they would like to about many shark species. Click through the following slide show to learn more about the latest in shark research—from technology to ecology.